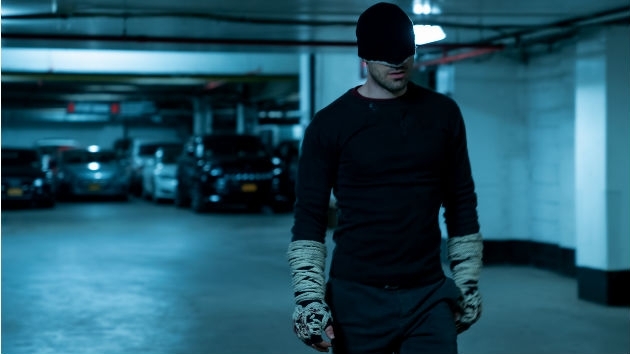 The third season of the acclaimed Netflix Marvel series Daredevil will hit the streaming service October 19. (NEW YORK) — The third season of the acclaimed Netflix Marvel series Daredevil will hit the streaming service October 19. “Let the devil out,” he whispers, as he’s suddenly seen smirking in his black ninja mask. When fans last saw Murdock, he was badly injured and presumed dead after the events of the team-up series The Defenders. As the proo suggests, Murdoch’s return will show that he’s losing faith in his “day job’s” ability to keep evil at bay. Based on the comic characters created by Stan Lee and Bill Everett, Daredevil also stars returning players Vincent D’Onofrio, Deborah Ann Woll, and Elden Henson. Joanne Whalley is a new addition to the cast, as Sister Maggie, a confidante who nurses Murdoch’s bruised body and faith — and who may also be his long-lost mother.